Here’s my initial warning – if you don’t like country or bluegrass and you hate that steel guitar sound, then this album is not for you. It is packed full of whiny twang that many of us just love – so if you are still reading, then you are in for a treat! With that said, this is not an over-produced Trace Atkins or Alan Jackson album, but rather a more rustic and raw tribute to that Americana sound. 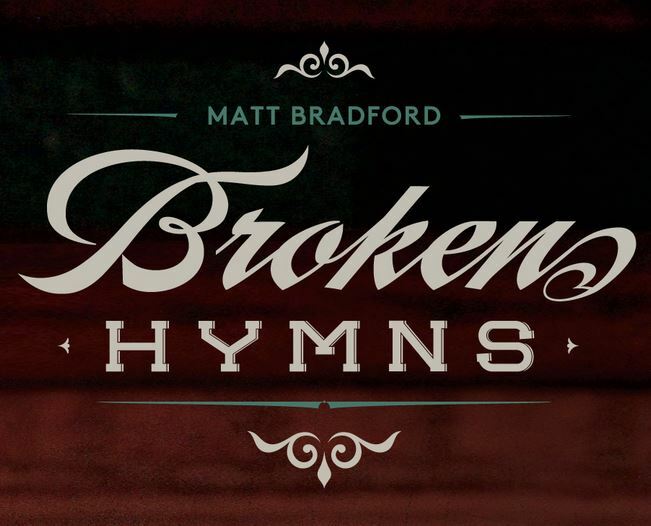 The album opens with “Break Easy”, and Matt immediately sets the tone by launching into a rather broken, cracked-with anguish vocal style – the way he sings is gentle, yet rugged at the same time. The music follows a simple chord structure, and somehow even though the tempo and instruments are completely different it reminded me of that old song “Operator” by Jim Croce (must be that overall pleasant vibe of the song that creates an instant nostalgia). I can imagine “Break Easy” being covered by someone like Darius Rucker to popular effect on hit country radio; it is the type of song that almost everybody likes. I don’t usually appreciate slower songs, but somehow on a rainy summer Saturday night, this felt just about right – it would be fitting for an evening with friends, a date, or just hanging out on your own. Track #2 is “The Singer”, with a rolling guitar entry that evokes something by the Counting Crows (from back in the “August” days when they were really good). Lyrics like “put a penny in the jar / open up your heart” portray a singer as a storyteller, in a narrative song about some kind of life-changing traveling troubadour encounter. The whole story is set over perfectly countrified guitar that feels just so healthy and homey here. But don’t stop listening yet, because then we get Track #5 – “Ain’t Ready To Stop”. This is the kind of song I was waiting for! There’s a driving train-track beat and some real twang and wail on the guitars, with laid-back lyrics like “cruisin’ though that desert kiss / sure don’t get better than this / I ain’t ready to stop for days”. If you like the idea of a mix between Ryan Bingham and Old Crow Medicine Show, then you will enjoy this one. Matt’s skill on the guitar really shines through and there is a lot of that pedal steel sound here too which is just awesome. Next is “Going to Hell”, which sounds like a hyper-romantic and emotional slow-dance of a song. Don’t play this on a date though, as the chorus “everything just keeps goin’ to hell” is a bit of a downer. And I loved the title of the next track “Stronger Than The Song”; but this one was really slow and sobering as Matt sings “there’s lines on his face, the scars of loves lost and prices paid”. Both of these songs are really fitting for an album called “Broken Hymns”, as you would expect the songs to be slow and simple with a trend towards the damaged, more depressing characters. A pleasant female vocalist takes over here on Track #7 (as a more mellow version of Carrie Underwood) – adding some energy to the third slow song in a row as both singers harmonize pleasantly together. Finally we have “Broken Hymns”. This is a gritty relationship song, utilizing those lovely vocal harmonies again, on this – the title track and the album closer. The instrumentation is full, and the tempo is upbeat enough to be catchy and memorable while still slow and sad. The music has to be sad enough to support lyrics like – “I didn’t even say goodbye, just found a place to lay down and die / there’s nothin’ worth hearing in my final words.” Yikes! I think “Broken Hymns” is really a strong ending to the album – if this had been the opening track I would have certainly kept on listening. The artist’s style is consistent, the musicianship is good, and his songs are solid. Again, if you aren’t afraid of country music or slow tunes – you’ll like most of the tracks on this release. Check out www.mattbradfordmusic.com for samples of the music right on the website! *Image not created by rockmycommute – album art from http://www.mattbradfordmusic.com used as part of review written originally for eartothegroundmusic.co and published on June 21, 2015. Lots to Love about this New Album! 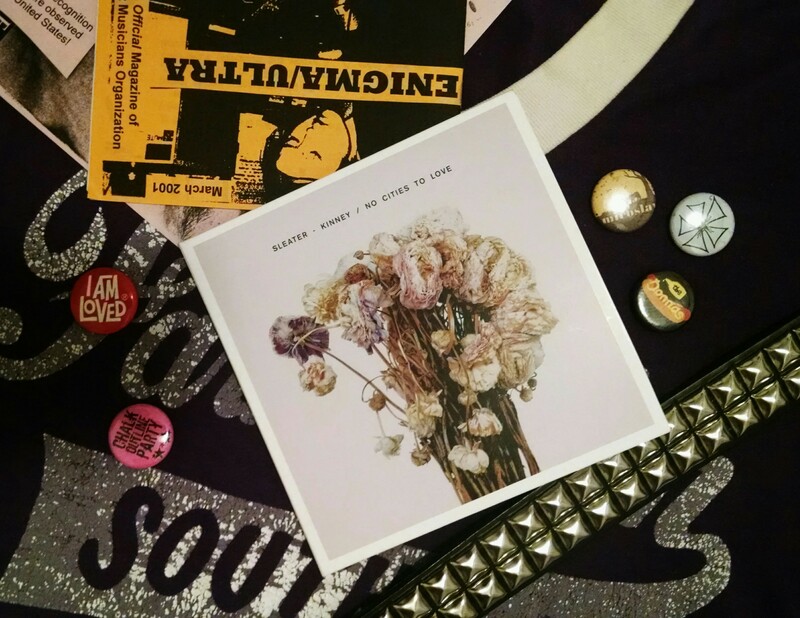 I don’t remember when I heard that Sleater-Kinney was putting out a new album; I think someone mentioned it in passing, and I was only vaguely interested. I was only vaguely interested, because I am getting old and I was confusing Sleater-Kinney with Rilo Kiley – still fun but “meh” by comparison. When I saw the No Cities To Love album on a Pitchfork list a few weeks later, I was super excited to check it out! So fun to remember an edgier, indier time when Carrie Brownstein was making her own way with a guitar (she is more than just a funny sidekick with a cute haircut on Portlandia). The musical styling is of course very similar to Bratmobile (Google both bands if you need a refresher on riot grrrl music and culture) with lots of punky rock and nary a slow, gentle song in the mix. But I also heard the influence of one of my personal female heroes – Patti Smith. The poetic chanting, sometimes yelling, sometimes singing with a loud and not-so-sweet-yet-seriously-feminine voice is so powerful and so familiar. The album opens with “Price Tag’, which is of course about the high prices we are paying every day for our modern lifestyles. There are middle-aged mom references (“I scramble eggs / for little legs”) but good descriptive verses you can feel (“the fabrics itch / the fit’s a little rough”) and no lack of rock. The vocals here are similar to Gwen Stefani if you need a fairly recognizable comparison – strained and emotional, but still capable of evoking a vibrato. I think track #5 “A New Wave” is my favorite, and not just because of the fun name. The opening guitar is just awesome, rippin’ and wailin’ you into a frenzy of female resistance by rock – “I am raw material / Make me plastic, make me fuel / I can be… I can be all.” But I also really love the next one, “No Anthems” because it is sorta creepy; sorta minor in key and breathy in voice before launching into the bridge – supported mostly by an aggressive drum break. “Gimme Love” might seem like a Rolling Stones song title, but I think this is one of the most Bratmobile of them all – abstract guitars and powerful, percussive singing. “Bury our Friends” is probably my least favorite because I have not listened to it as much as the others (I usually start at the first track when turning on the ol’ Prius) but I think this is also the most Patti Smith in style – you can just imagine her singing along in bare feet with hands outstretched in solidarity. “Hey Darling” is a little sassy and a little more singerly; again with the Gwen vibrato and flirty-yet-careless breakup song vibe. The album ends with a song fittingly called “Fade” which also is not one of my favorites, since it is a little slower, less melodic and more esoteric – but still it is hard to complain about 10 songs of welcome rock that hold up not only to nostalgia, but also against anything that is being played and produced this year. No Cities To Love will not disappoint you – it is of course more polished and better produced than some of the stuff you were listening to in the 90s, but it still is just packed with razory guitars, raucously-belted girl-power vocals, and hard hitting drums. Every single song took me back to the one time I was lucky enough to see Bratmobile open for the Donnas – and back to the days of thrift store t-shirts, greasy shag haircuts, stapling up band flyers, handing out stickers, and collecting little pins (for your hoodie or messenger bag, of course). An authentic and fun point in time – for music, art, and good rock bands that are worth re-discovering time and again. Courtney Barnett’s album came out in March 2015 – I had just seen this out on the Pitchfork list of best albums and decided to give it a try. Right away I recognized “Pedestrian at Best” on track #2 – I had heard it weeks before on public radio and I loved it immediately because it called to mind a mixture of my three favorite girl-rock songs: “Kool Thing” sung by Kim Gordon, “Seether” by Veruca Salt, and “Never say Never” by Romeo Void. Hmmmm, I thought – this girl can ROCK! But let’s start with track #1. A great rhythmic start to the album, with a spoken-word style that showcases Courtney’s sarcastic and darkly humorous treatment of semi-dark, sorta jaded, daily disenchantment. There’s something about the dichotomy of bouncy, upbeat chords against lyrics pleading “don’t’ jump little boy!” that make you stop and think. Yikes! “Depreston” is fittingly depressing, as it is basically a flatly-described view of the daily hum-drum of domestic life and the mundane history that houses and homes carry with them. This song is perfect for Courtney’s middle-of-the-road (mostly spoken) vocal style. And next is another Sheryl Crow-styled song called “Aqua Profunda” – so sassy and fun, while being a little silly at the same time. Next #7 called “Dead Fox” features an upbeat (almost 80s style) background bass that will have you bopping along, even as you realize the lyrics are a cynical tale of denial about turning a blind eye to whatever you can’t handle at the moment…. I LOVED the name of the track “Nobody Really Cares If you Don’t Go to the Party”. This is exactly the right attitude for handling that sort of self-important indecision that someone may be whining about to you. Nobody cares! This is full of the sort of 90s girl rock that I loved from the beginning of the album, with a really amazing guitar solo that is so much fun. Track #9 – called “Debbie Downer” – could be cut and pasted directly from a Juliana Hatfield album. Cute structure, semi-sweet lyrics, and lots of girlie attitude. Perfect for rocking out and singing along in your car! I thought #10 was the most serious of them all – an environmentally-conscious song told in a mostly poetic, beatnik bass style that is almost too much for this otherwise tongue-in-cheek album. The CD ends on a mellow note with “Boxing Day Blues”. I’ll admit it was kind of hard for me to get into this one, when all I really wanted to do was keep rockin’ with the rest of the album. I tried looking Courtney up on the internet, to see how much of this guitar music she was writing/playing herself – but no matter who is performing the instrumentation on the album, it is nothing really spectacular or noteworthy. Even on these stripped-down songs what makes each track so great is the combination of music, lyrics, and deadpan Courtney delivery. Somehow it all really comes together in this great “retro” 90s indie-girl style. Wikipedia for Courtney Barnett says she has released two EPs to date, but that this is her debut album. What?! This is AMAZING for a debut album! Check it out! I can’t believe I am halfway through my year of music exploration! And I have only had one lonely little week without a music review. I am feeling proud and sad at the same time – in some ways this is going very very quickly, and way too fast. I missed the chance to put together an April playlist for you on Spotify, so I’ll come up with something a little longer (and hopefully less random) as an April/May retrospective hybrid soon. No matter how weird it looks, I’m sure it will sound awesome on shuffle! Finally, I am overdue for a giveaway! 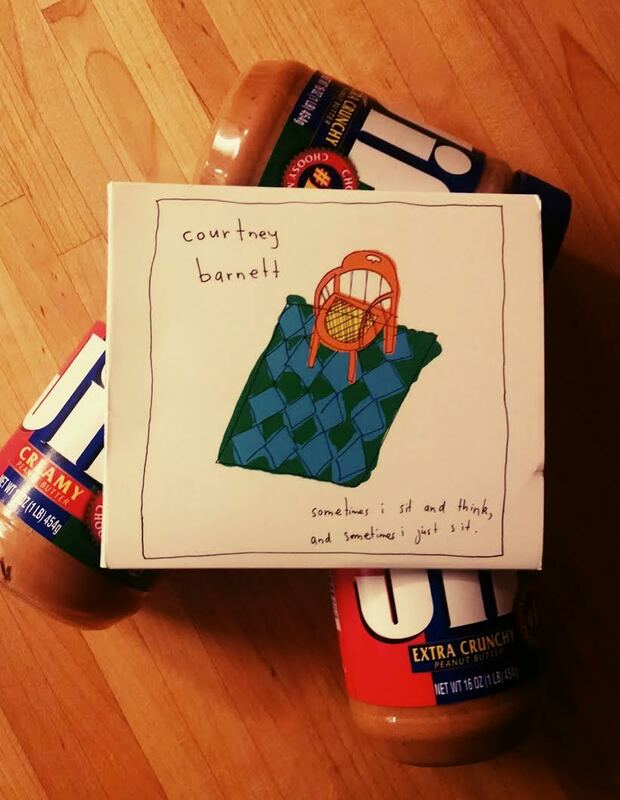 I have just a few CDs still kicking around here, but if you’d like one, please 1) comment on my blog post below, 2) comment on this week’s FB post for the Courtney Barnett piece, or 3) send an email to Hannah@rockmycommute.com. Thanks for sticking with me for the past six months! I hope you are reading and even listening to some of this stuff! Maritime opens with an elegant, balanced, harmony carried by both confident singers. This first track is jazzy and full of movement, even while being simple and clean. Dave and Mandy are actually Dave McGraw and Mandy Fer – no flashy band name for these two! 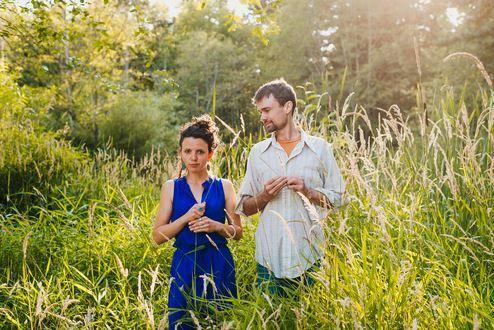 Their website states that they have “shared the stage” with many acts, including Iron & Wine and Mandolin Orange – and I must say these are perfect pairings. Mandy’s voice reminds me a little of Mindy Smith, but deeper – and I’m still not sure how to describe Dave’s vocal style. Gentle like Jack Johnson maybe, but more singerly and sustained somehow? Dave and Mandy are in the same style vein and able to hold their own alongside these comparable, well-known bands. This album was recorded on an island, so you’d expect it to have a sharp beach-grass, biting wind, salty air, roaring wave type of feeling; but honestly I think the overall style and feeling takes you to any natural out-of-door place that allows you enjoy music – and your own memories – in a calm and uninterrupted peace. Track #4 brings in a little energy, with crashing drums and a train-track rhythm that breaks through at just the right moments. But the next track didn’t impress me as anything novel – even as I enjoyed the brighter feeling and warmer texture of this more upbeat piece aptly titled “Morning Song”, I realized that this song actually plays upon the familiar. Dave’s voice shares words that pop out individually to tap into your own associations, words like cattails, fence posts, coffee, mason jars. Even though it is not earth-shatteringly innovative, I have to say “Morning Song” is tied with “Compass” for my favorite track! Dave’s turn to get jazzy is on #6, a piece called “How the Sea”. This song really highlights the electric guitar – apparently Mandy played lead guitar for several other bands and her musicianship is well demonstrated here. The storytelling style on #7 reminds me a little bit of Ani DiFranco – a coffeehouse style song brimming with angst. Then “Rain on the Rosemary” actually has a, well, rainy feeling that calls to mind the Pacific Northwestern island setting where this record was made. I just love the name, and again the electric guitar solos sprinkling in and out are just perfect mood-setters. It might seem hard to have much patience for a song called “Silence”, but Dave and Mandy do a pretty fair job of it. Slow, bare, and about someone who “can’t stand the silence”, Mandy’s voice is mostly alone on this piece before it ramps up; and she carries a rich strength that compares to one of my favorite singers, Susan Tedeschi. The melody here leads you to unexpected places which is admirable – but I have to say this piece was probably my least favorite, as it is a more serious than energetic song. “Tide Moon Ship Horn” (Track #10) is the song that uses words most explicitly to bring out the maritime theme. In addition to the title that repeats throughout the chorus, you’ll hear other pepperings of salty words including gales, gray, anchor, and sail… that all work to bring you the place the artists want you to see. The album ends very simply, with a sweet song crooning “I’ve got all the time in the world for Victoria”. If you love Iron and Wine, Norah Jones, and if you have ever heard of an Ohio group called Over the Rhine… then you will love Dave McGraw and Mandy Fer. They are certainly talented and intentional – and they have a couple of tour dates coming up in August. I hope that some of these are outside shows – because this is the kind of music best enjoyed from a blanket in the grass, on a summer night with a bottle of wine. Dreamy, mellow, and memory-making. *Photo not taken by rockmycommute. Image is as shown on www.daveandmandymusic.com/about on 05/31/2015.